When you are creating a profile question you might want to include a link to an additional page. 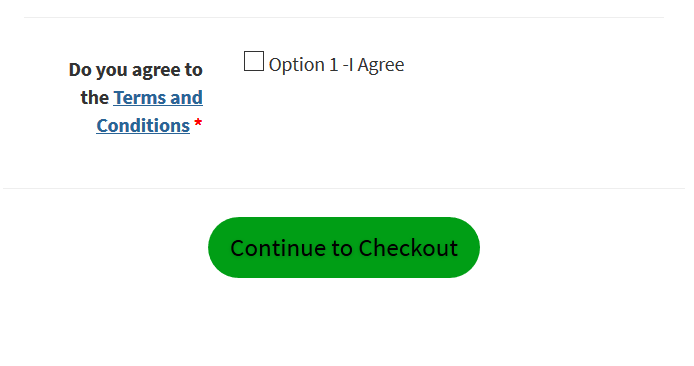 This can come in handy when you need your customers to read and agree to terms and conditions on checkout. 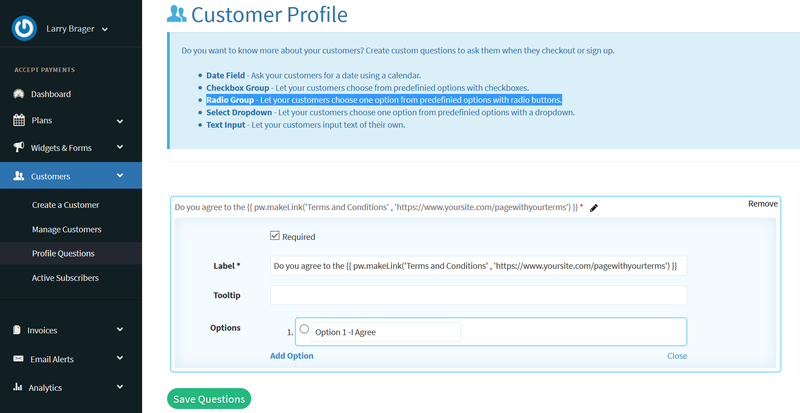 To make a link in a question, first navigate to the Profile Question creation page and select the type of question you want to use. For this example we will use a "Radio Group" question. Change the 'Link Text' to say what you want the link to say. In this case we made it 'Terms and Conditions' and the link goes to 'https://www.yoursite.com/pagewithterms'. You would change this to the page on your site with the full terms. Now you can have your customers agree to terms on any plan before checking out.